Located downtown in the "Heart of Livingston" near shopping, stores and restaurants. In many hotels today, a typical room with standard amenities may cost upwards of $100 or more per night and may charge extra for simple conveniences such as microwaves, refrigerators, and high-speed Internet. Further, almost all hotels equip their rooms with carpeted floors which may be subject to years of dirt build up. We are proud to offer 17 rooms equipped with standard amenities and offered at rates that rank among the most affordable in the local area. All rooms feature dish-network Satellite TV with over 150 channels, tile floors, free high speed Internet, WIFI, refrigerator and microwave. See our Rooms Page for details and our Contact Page for location and map. 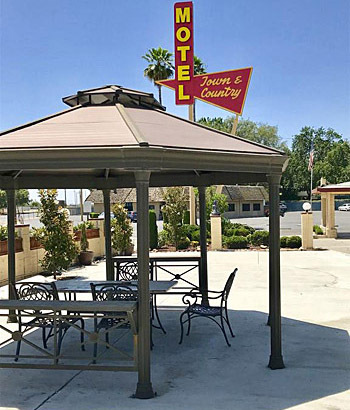 At the Town & Country Motel, we strive to ensure that your stay with us is an enjoyable and memorable experience.